Burlington, Iowa lawyers specializing in Estate Planning, Real Estate Services, Probate, Business Law, and Personal Injury. We provide services to all of southeast Iowa for both businesses and individuals. 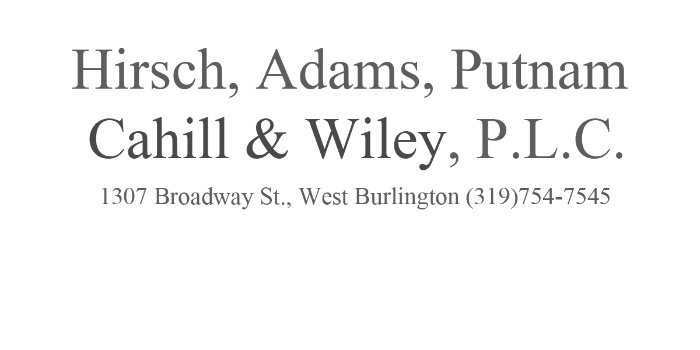 Dedicated to providing quality and affordable legal services to all clients in the Burlington, Fort Madison, Keokuk, Mt. Pleasant, and Mediapolis area. Estate Planning, Real Estate, Business Law, and Personal Injury. Estate Planning, Probate, Real Estate, and Business Law.